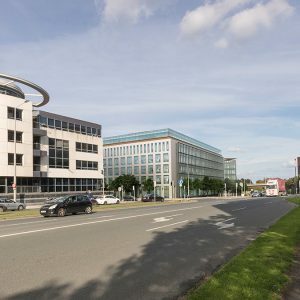 In recent years, the Sandyford area has attracted a large number of multinationals, including Microsoft, Vodafone and Salesforce. 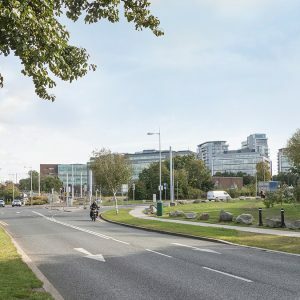 The pull of the area has a lot to do with the strong transport links connecting it via Luas to the City centre, Aircoach directly to Dublin airport, M50 just minutes away and a range of bus routes in the immediate vicinity and on the nearby N11 Quality Bus Corridor. So, it’s not surprising that developers are paying more attention to the potential that this side of the city offers. 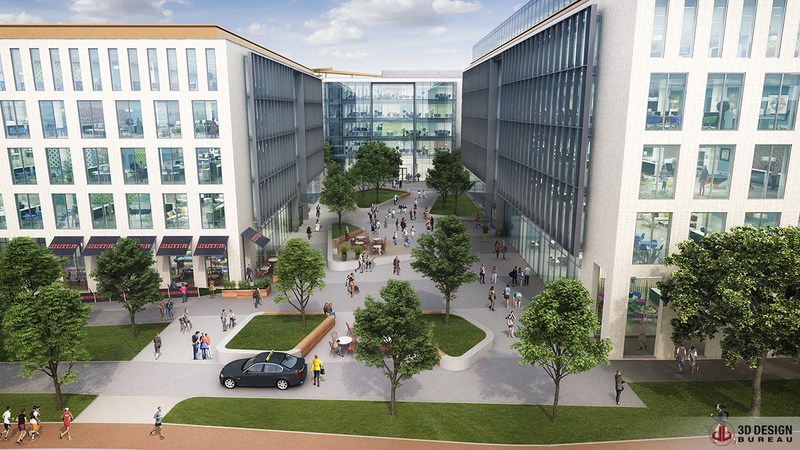 In the last week, planning has been granted for yet another office development in the area. 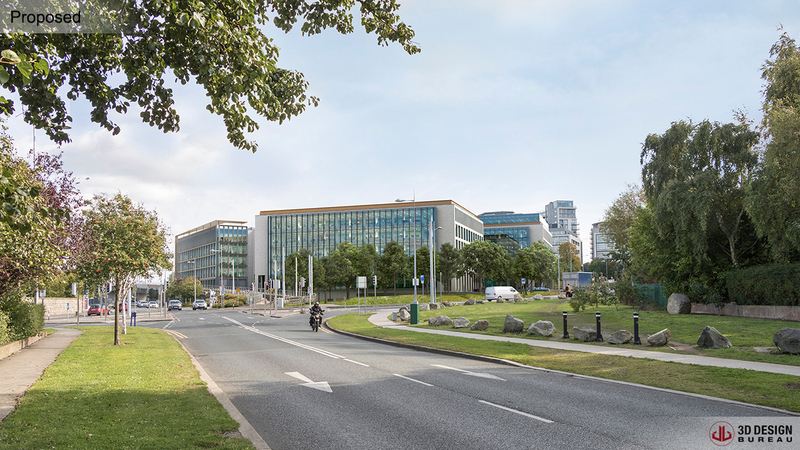 The Leopardstown West campus-style development will include three separate buildings extending to 36,603sq m (394,000sq ft) and is expected to attract an equally impressive class of tenant. #Team3DDB created multiple VVMs and CGIs all of which were used to secure planning. 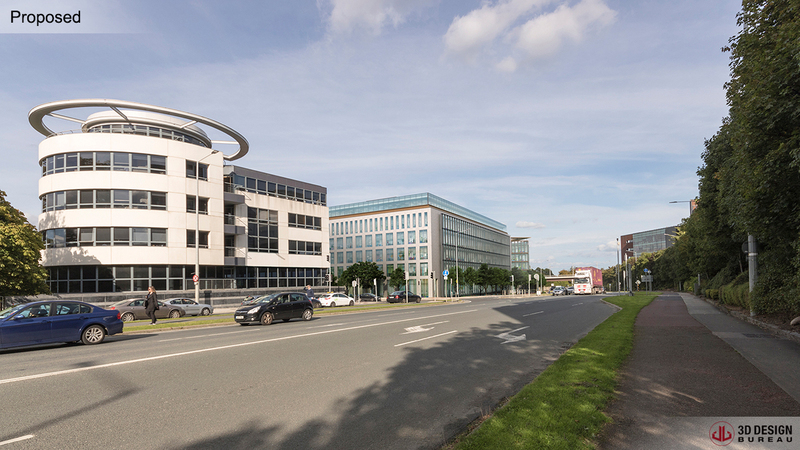 Demolition of existing commercial building on site (c. 4600 sqm Gross Floor Area (GFA)). 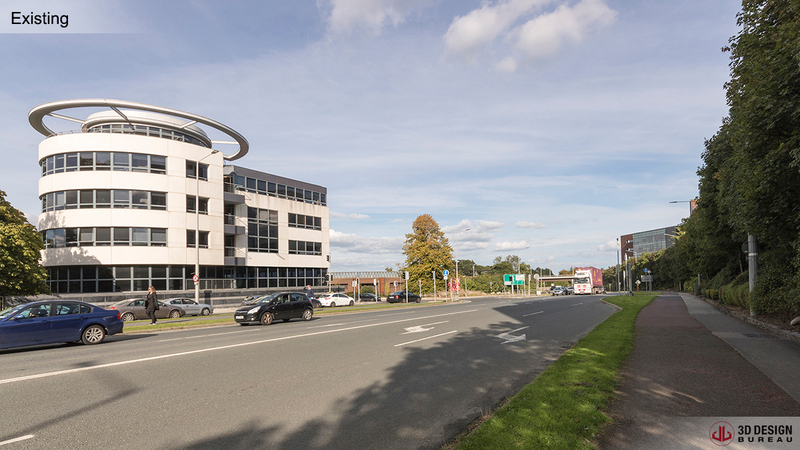 Construction of an office development totalling c. 36617 sqm within 3 no. buildings ranging in height from 5 to 6 storeys (with enclosed roof plan). Including ground floor café (c. 172 sqm) at Block 1. A total of 346 no. car parking spaces at basement; 188 no. long-stay and 183 no. short stay bicycle spaces and 14 no. motorcycle spaces. Bin storage areas and shower/changing facilities. 3 no. substations (total 117.9 sqm). 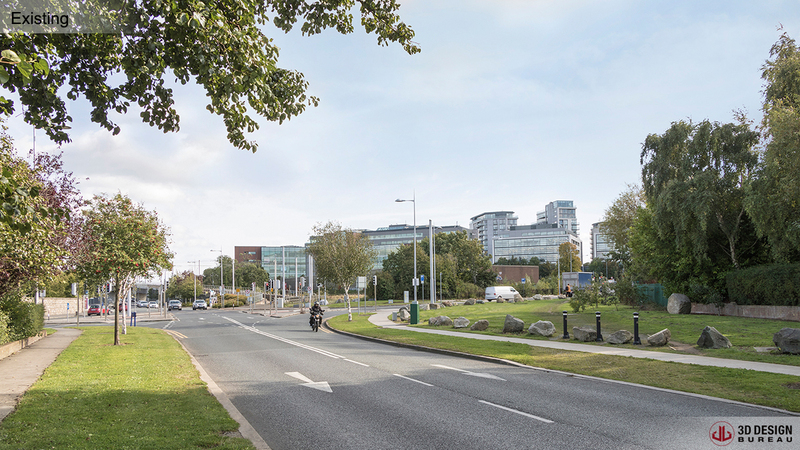 Provision of landscaping/open space/circulation routes including a new Pocket Park. 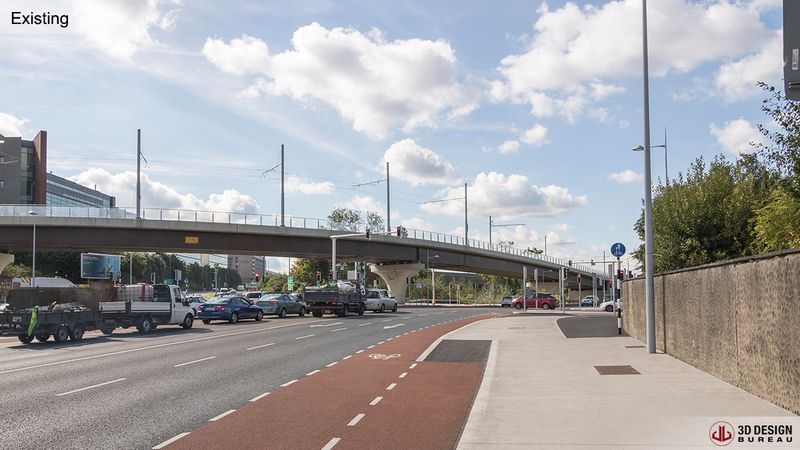 Modifications alongside Burton Hall Road including redesign of the existing site access and provision of an additional left turning lane onto Leopardstown Road. All associated site development, services provision and landscaping works. Architects – Reddy Architecture and Urbanism: Reddy Architecture + Urbanism is a firm of architects and design professionals providing a comprehensive range of design services. With over 30 years experience, their projects span many sectors and building types. 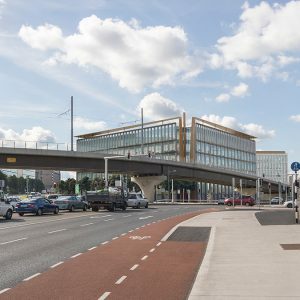 Client – Aldgate Developments: Aldgate Developments was founded by a number of experienced Irish individuals with backgrounds in finance, property and marketing. The company rose to prominence in 2013 with the launch of its Aldgate Tower project in London. Planning Consultant – McGill Planning Limited: they offer a variety of high quality professional town planning consultancy services to the development industry. 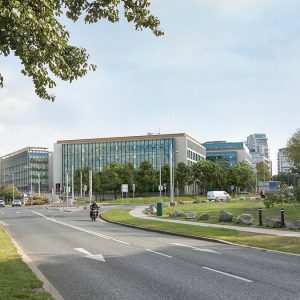 Mechanical & Electrical Engineers – Homan O’Brien Associates: was formed in 1990 by the amalgamation of two long established consulting engineering practices, Jacob and Partners (1955) and Seamus Homan Associates (1978). 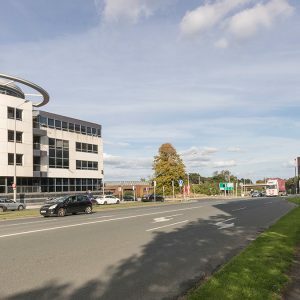 Since its foundation, the practice has become firmly established for the excellence of its design concepts coupled with its committed policy of value for money engineering solutions. 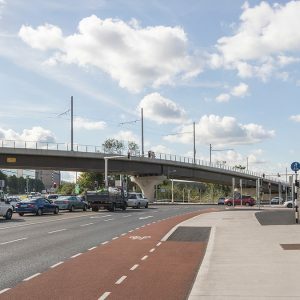 Consulting Engineer – DBFL Consulting Engineers: One of Ireland’s leading engineering consultancies combining commercial understanding with innovative engineering solutions. 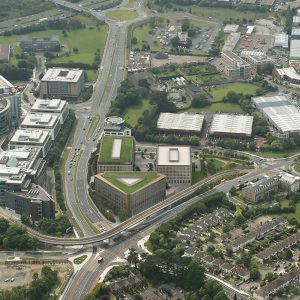 Landscape Consultant – AIT Urbanism & Landscape: Landscape Architecture & Urban Design Practice based in Dublin. 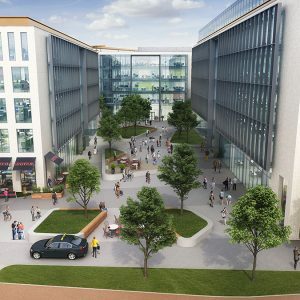 CGI Consultants – 3D Design Bureau: are specialists in Architectural Visualisation, BIM and VR – Delivering Quality Design Planning and Marketing Solutions. 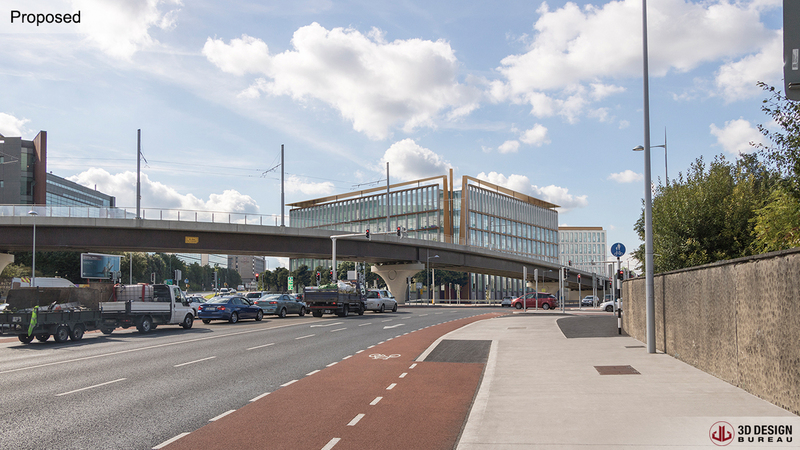 For this project, the team3DDB created a series of Verified View Montages and CGIs all of which were used to secure planning. 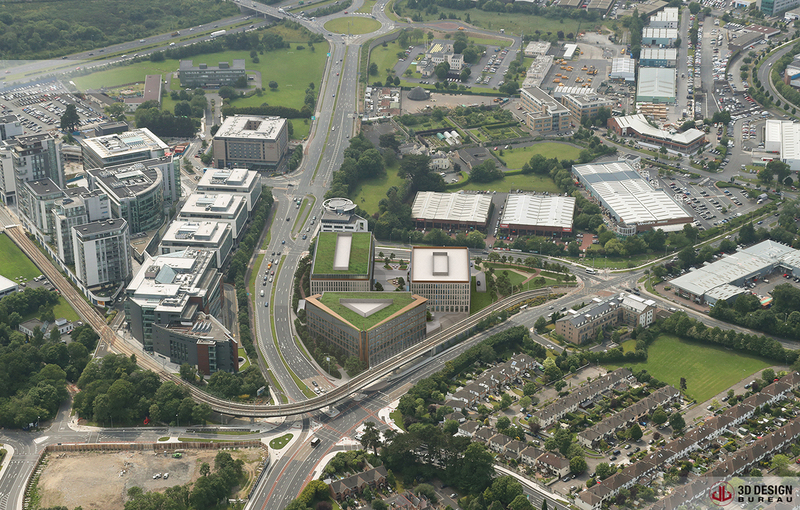 If you have a project requiring Verified View Montages, CGIs or any of our deliverables, please get in touch. You can contact us by phone or email and talk to us about your requirements and the solutions best suited to your project. +35312880186 info@3ddesignbureau.com. You can also check out the rest of work online.